Low-cost, light-weight choice for applications where compact size, low pressure drop and high reliability are required. This unique family of products is the industry-standard for excellence in water systems for freeze protection down to -65F. They provide 100% efficient heating through direct immersion of the heating element in potable or gray waterlines. These high reliability heaters offer significant cost benefits over common tape heaters by eliminating labor intensive wrapping and insulation. They are inherently safe, as the potential of "bridging burn-outs" (due to improperly installed or damaged heaters) is eliminated. Innerline Heaters are completely safe for dry pipe operation and comply with FDA requirements for materials in contact with potable water. 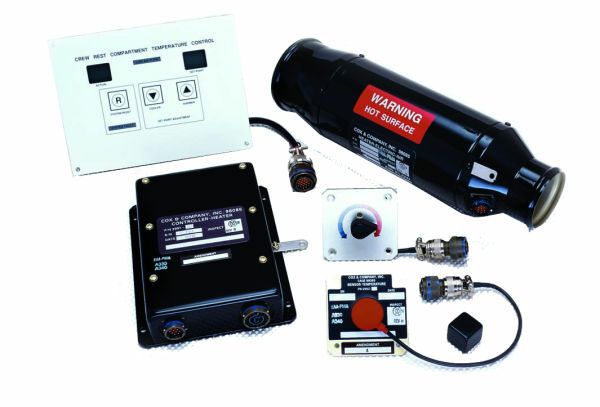 2880 Series Heaters - include temperature sensor and self-contained controller (zero-cross electronics) meeting EMI requirements for sensitive fly-by-wire aircraft applications. 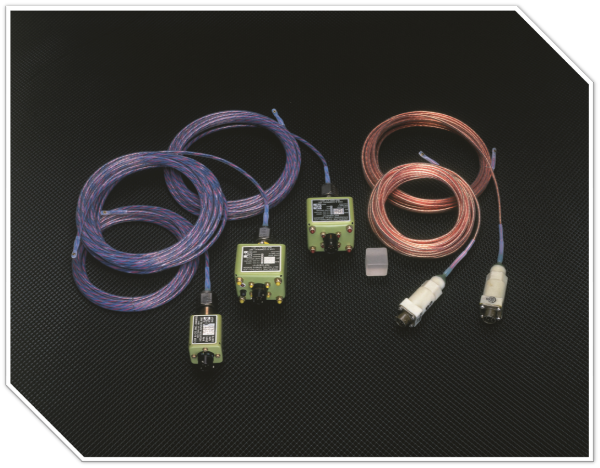 Additional user selected options include remote temperature sensing and self-test circuitry. 2941 Series Heaters - include an additional temperature sensor for remote, aircraft-supplied control and over-temperature protection. Optional thermostatic control is also available. 3046 Series Heaters - an economic solution to waterline freeze protection consisting of a basic heating element only. Innerline and Thinnerline Heater Elements are available in lengths up to 65 feet (19.8 meters) and power outputs up to 12 watts per foot (39.4 watts per meter). The standard Innerline Heater element diameter of 0.19 inches (4.8 mm) is suitable for a waterline with an inner diameter of 0.5 inches (14mm) or greater. Our Thinnerline Heater element has a diameter of 0.13 inches (3.3 mm) and is available for waterlines with diameters less than 0.5 inches (14 mm), typically used on business or regional jets. Temperature Control Settings for Cox's 2880 Series Innerline Heaters are available in standard or remote temperature sensing versions with a standard set-point of approximately 65F. Other temperature control settings are available upon request. Customized Innerline Heater products and systems are available to meet specific customer applications. Low-cost and light-weight, Cox's product solution for providing localized radiant electrical heat to wall and floor surfaces. 3074 Series Floor Mat Heaters â€” Silicone or neoprene construction heater panels available in any custom size or configuration, featuring Cox's proprietary self-fusing heating elements with optional thermostat or electronic control. Low-cost and light-weight solutions for providing localized electrical heat to potable water, fill and drain lines; doors and access hatches; and other custom applications. Heated Hoses & Lines â€” This family of Cox products is a simple and elegant solution for freeze protection of potable water, fill and drain lines. The heater is supplied as an integral part of the overall hose or line. Gasket Heaters â€” Prevents ice formation between critical valves and fittings. These custom-molded silicone heaters are available in a wide variety of configurations and power outputs. Optional thermostatic control and self-test features are also available. 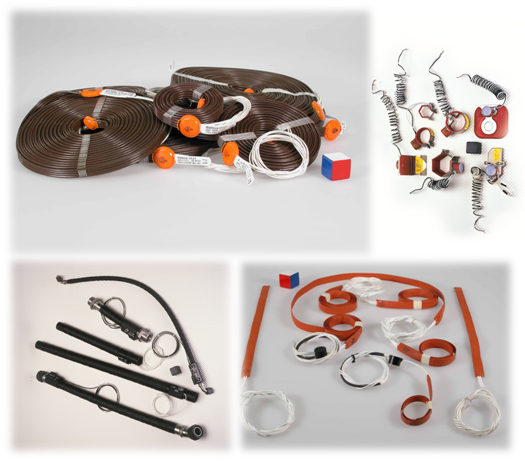 Flexible Hoses â€” Flexible hoses in neoprene or silicone construction available in any custom size featuring Cox developed self-fusing heating elements. Cox Heated Hoses are manufactured with a smooth inner surface to prevent clogging by waste or debris. 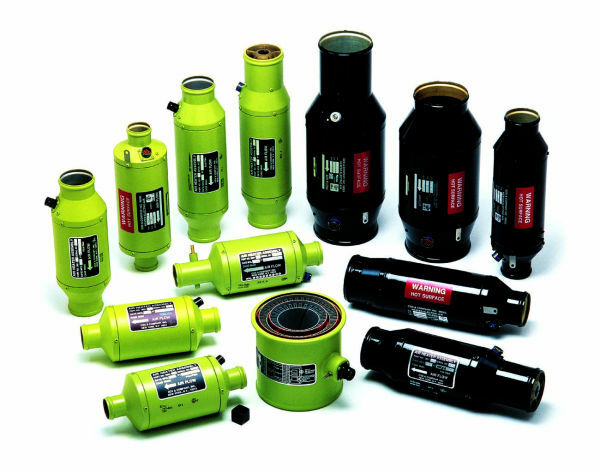 Light-weight and highly reliable, Cox's product solution for providing localized electrical heat to tanks and ducting. 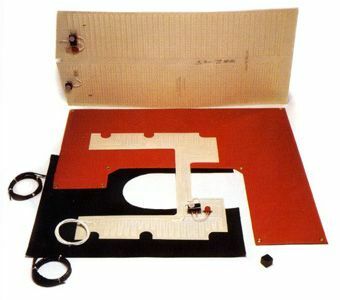 Heat can be tailored to match the specific thermal requirements of any application. Insulated Tank Heaters - Silicone heaters supplied as complete, pre-installed assemblies (vulcanized onto a tank) or as separate components, featuring Cox's proprietary self-fusing heating elements with optional thermostat or electronic control. 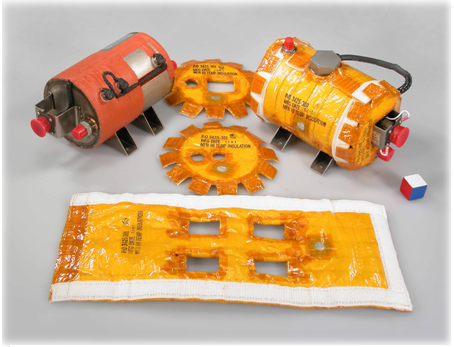 Custom-fitted, flame-retardant insulating blankets are also available as part of an assembly or as a separate component. Duct Heaters - Cox can provide custom molded Silicone heaters to fit ducting with any complex geometry. Heaters feature Cox's proprietary self-fusing heating elements with optional thermostat or electronic control.